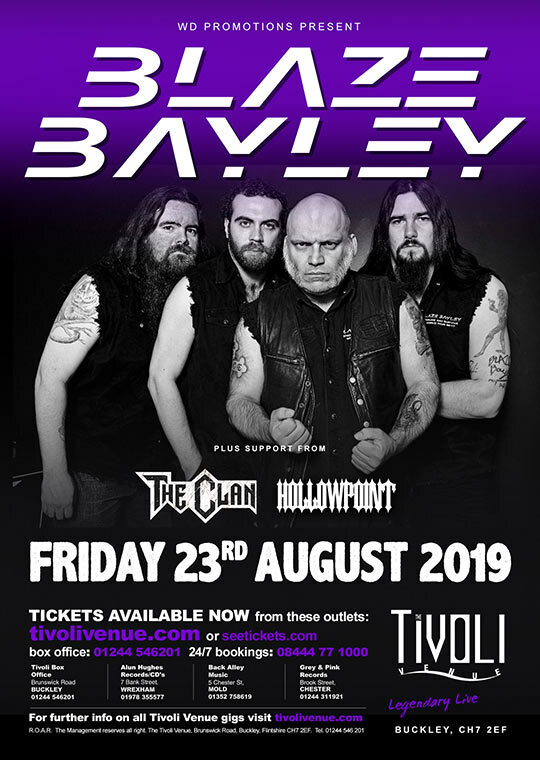 Blaze Bayley is a solo English singer, lyricist, and songwriter. He was the lead singer of Wolfsbane from 1984 to 1994, and 2007 to present. Blaze was also the lead singer for the British metal band Iron Maiden from 1994 to 1999. PLUS support from The Clan and Hollowpoint. SKU: BLA_190823. 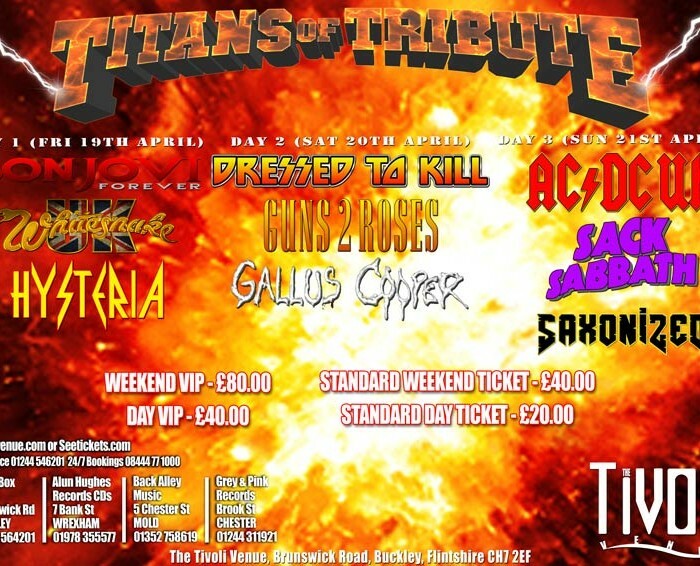 Category: Blaze Bayley Tickets. 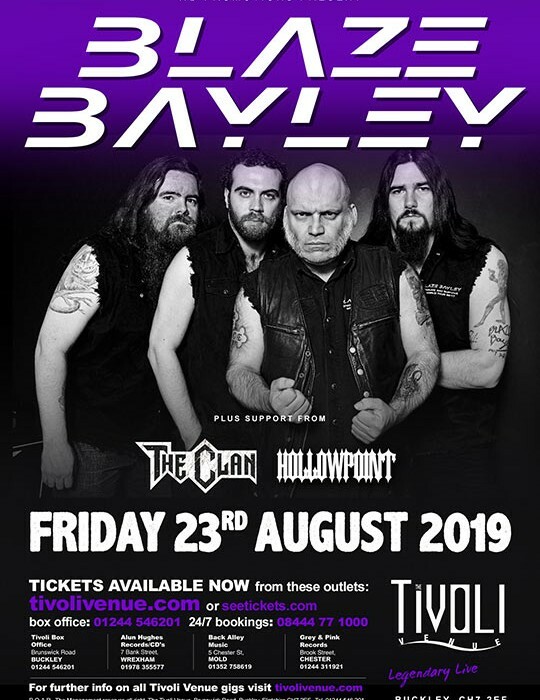 Tags: Blaze Bayley, Hollowpoint, Metal, Rock, The Clan.